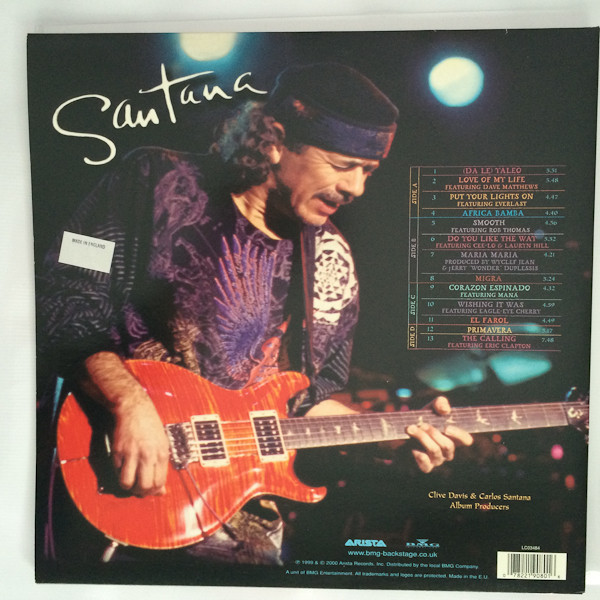 This is the album that, for some reason, launched the by now respected, grizzled, headbanded veteran Carlos Santana back into the commercial stratosphere. People who had no Santana albums suddenly started buying this in their millions, enticed by the intoxicating Latin rhythms, guest appearances, contemporary music fusion and Santana's instantly recognisable, iconic guitar sound. Due to all the guests contributions and the length of the album (an hour an a quarter, with all tracks over four minutes in length, at least) the album lacks a little cohesiveness and direction. It is more a selection of excellent Santana collaborations with other artists, as opposed to a unified Santana album, if you get my point. That doesn't mean it is not good. It is good. Very good in places. The sound quality is excellent and the musicianship, as you might imagine, is exemplary. It got all sorts of Grammy awards and the like, not that I ever pay much attention to those. The album does, for me, have a bit of a feel of a an album of various songs that have Carlos Santana guesting on them as opposed to the other way round. "(De La) Yaleo" is a lively Latin groove, full of rhythm, bass, funky organ and, of course Carlos Santana's trademark guitar. Some excellent piano on it too. "Love Of My Life" is a laid-back, bassy, contemporary "r'n'b" number that ends with some delicious Santana guitar and percussion interplay. Some lovely salsa rhythms underpin it too. "Put Your Lights On" is a bluesy r'n'b grinder with a gruff vocal and some seriously heavy guitar riffs. "Africa Bamba" features some delicious Spanish guitar in its intro and a catchy Spanish vocal, despite its opening line about dancing with a Portuguese girl. "Smooth" was a hit single (I think, or of not it was certainly played on the radio a lot). It is a muscular but melodic, insistent and pumping Latin soul groove. "Do You Like The Way" is a hip/hop thumper with Lauryn Hill and CeeLo Green on vocals. Green's vocals are excellent. It has moved into being a soul song by now, after Hill's hip/hop opening. The "shoo-be-doo-ba-ba" vocal bit brings to mind The Style Council's "Long Hot Summer". 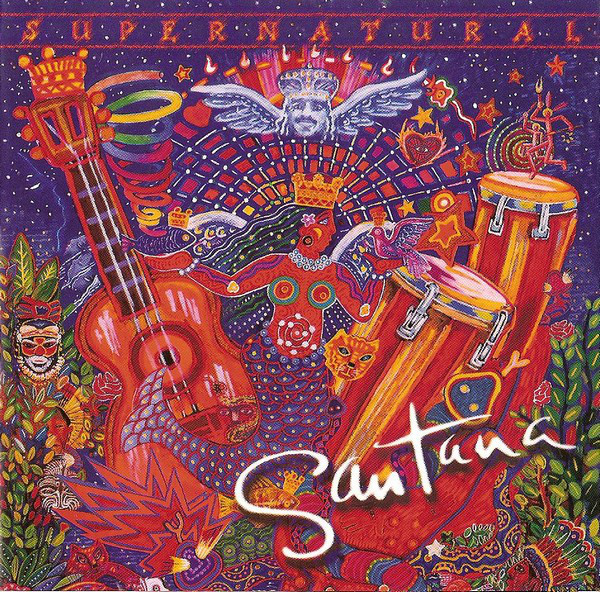 "Maria Maria" was the album's other big hit with Santana memorably being name checked in the lyrics before his guitar parts. It is full of contemporary hip/hop beats. Its huge bass part, though, is way too pounding, slightly distorting the sound of the song (and I love bass). The Spanish guitar parts are superb, however, as are the West African-influenced vocals. "Migra" is great, with a magnificent rolling drum sound, handclaps and a captivating, tribal-style rhythm. 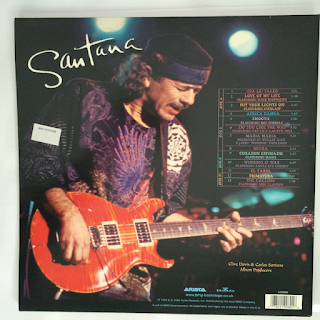 Santana's guitar swirls and soars all over the place and some Mexican-sounding brass enhances it even more. It is an underrated number on the album. "Corazón Espinado" is a classic slice of salsa-influenced rock with more authentic Spanish lyrics. "Wishing It Was" is a slow burning dance-ish groover, a bit Prince-like. "El Farol" is a beautiful guitar-led instrumental. "Primavera" is a sumptuous laid-back, soulful Latin number with the by now obligatory Spanish vocals. "The Calling" is (nominally) the final track, and features Eric Clapton trading guitar licks over a solid hip-hop-ish beat and a gospelly vocal. After a ten-second break, at eight minutes, the "hidden" track, "Day Of Celebration", comes in. It is a grinding, industrial funky type of number with English lyrics, completely different from anything else on the album. The album is a long listen, one that you can dip into, to be honest, but the quality is there throughout. It certainly had something about it. Its mass appeal would seem to back that up.